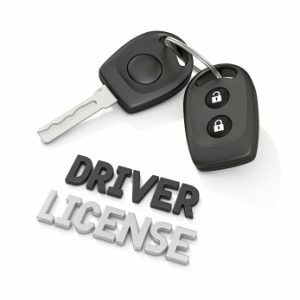 Facing a Driver’s License Suspension? Let us win your hearing by representing you at an Administrative Per Se Hearing, a Negligent Operator hearing, Medical Suspension or Lack of Skills Hearing. A California DMV hearing is an administrative hearing. You don’t go in front of a judge. Instead you go in front of a hearing officer that’s tasked with presenting evidence to suspend your license, determining whether that evidence is enough to suspend and, if it is, ultimately issuing a license suspension. A DMV hearing officer is not a lawyer, but is equivalent to a “prosecutor, judge and executioner” with respect to your license. If you are one of the unlucky to have a DMV hearing you should be represented by an attorney. The DMV has independent power to revoke, suspend, restrict or issue a license. This authority is separate from a Superior Court’s power and if you receive an adverse ruling by the DMV, it can be “appealed” to a California Superior Court. While the California DMV wields a lot of power, they still can’t suspend an individual’s license without affording that person due process of law. This means that before your license can be suspended, revoked or restricted, you have constitutional rights that protect your right to a hearing, to be represented by an attorney, to cross-examine witnesses and evidence and to present witnesses on your behalf. If you’ve received notice that the DMV is suspending your license, contact us immediately. Having a license is vital in today’s world. To learn more about our procedures and how we may be able to stop a license suspension call a DMV Attorney at California Ticket King, PC at 877-985-0002 or email our attorneys at info@caticketking.com.